O.R.-- SERIES I--VOLUME 2 [S# 2] -- CHAPTER IX. JULY 16-22, 1861.--The Bull Run, or Manassas, Campaign, Virginia. No. 6 -- Reports of Brig. Gen. Irvin McDowell, commanding U. S. forces. COLONEL: I have the honor to submit the following report of the battle of the 21st of July, near Manassas, Va. It has been delayed till this time from the inability of the subordinate commanders to get earlier a true account of the state of their commands. In my communication to you of the 20th ultimo , I stated it as my intention to move that afternoon and drive the enemy from the east side of Bull Run, so as to enable the engineers to make a sufficiently accurate reconnaissance to justify our future movements. Later in the day they had obtained enough information of the passages across the stream to dispense with this reconnaissance, and it was decided to move without further delay. ... Friday night a train of subsistence arrived, and on Saturday its contents were ordered to be issued to the command, and the men required to have three days' rations in their haversacks ... Saturday orders ... were issued for the available force to march. The divisions were ordered to march at 2.30 o'clock a.m., so as to arrive on the ground early in the day, and thus avoid the heat which is to be expected at this season. There was delay in the First Division getting out of its camp on the road, and the other divisions were, in consequence, between two and three hours behind the time appointed--a great misfortune, as events turned out. The wood road leading from the Warrenton turnpike to the upper ford was much longer than we counted upon, the general direction of the stream being oblique to the road and we having the obtuse angle on our side. The enemy was evidently disheartened and broken. But we had then been fighting since 10.30 o'clock in the morning, and it was after 3 o'clock in the afternoon. The men had been up since 2 o'clock in the morning, and had made what to those unused to such things seemed a long march before coming into action, though the longest distance gone over was not more than 9� miles; and though they had three days' provisions served out to them the day before, many, no doubt, either did not get them, or threw them away on the march or during the battle, and were therefore without food. They had done much severe fighting. Some of the regiments which had been driven from the hill in the first two attempts of the enemy to keep possession of it had become shaken, were unsteady, and had many men out of the ranks. By sundown most of our men had gotten behind Centreville ridge, and it became a question whether we should or not endeavor to make a stand there. 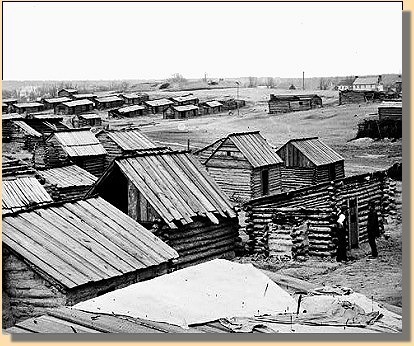 The condition of our artillery and its ammunition, and the want of food for the men, who had generally abandoned or thrown away all that had been issued the day before, and the utter disorganization and consequent demoralization of the mass of the Army, seemed to all who were near enough to be consulted--division and brigade commanders and staff--to admit of no alternative but to fall back; the more so as the position at Blackburn's Ford was then in the possession of the enemy, and he was already turning our left. At -- o'clock the rear guard (Blenker's brigade) moved, covering the retreat, which was effected during the night and next morning. The troops at Fairfax Station, leaving by the cars, took with them the bulk of the supplies which had been sent there. My aide-de-camp, Major Wadsworth, staid at Fairfax Court-House till late in the morning, to see that the stragglers and weary and worn-out soldiers were not left behind. .... As my position may warrant, even if it does not call for, some explanation of the causes, as far as they can be seen, which led to the results herein stated, I trust it may not be considered out of place if I refer, in a few words, to the immediate antecedents of the battle. In conclusion, I desire to say in reference to the events of the 21st ultimo, that the general order for the battle to which I have referred was, with slight modifications, literally conformed to; that the corps were brought over Bull Run in the manner proposed, and put into action as before arranged, and that, up to late in the afternoon, every movement ordered was carrying us successfully to the object we had proposed before starting--that of getting to the railroad leading from Manassas to the valley of Virginia, and going on it far enough to break up and destroy the communication, and interpose between the forces under Beauregard and those under Johnston; and could we have fought a day--yes, a few hours--sooner, there is everything to show that we should have continued successful, even against the odds with which we contended. IRVIN McDOWELL, Brigadier-General, Commanding. Lieut. Col. E. D. TOWNSEND, Asst. Adjt. Gen., Hdqrs. of the Army, Washington, D. C.
Confederate General Barnard Bee and Colonel Francis Bartow were killed. Both the South and the North realized that the war would be long and costly. General McDowell was relieved of command of the Union army. Maj. Gen. George B. McClellan began reorganizing and training the Union troops. Southern General Thomas J. Jackson would forever be called "Stonewall" Jackson. Confederate Winter Quarters After First Manassas.